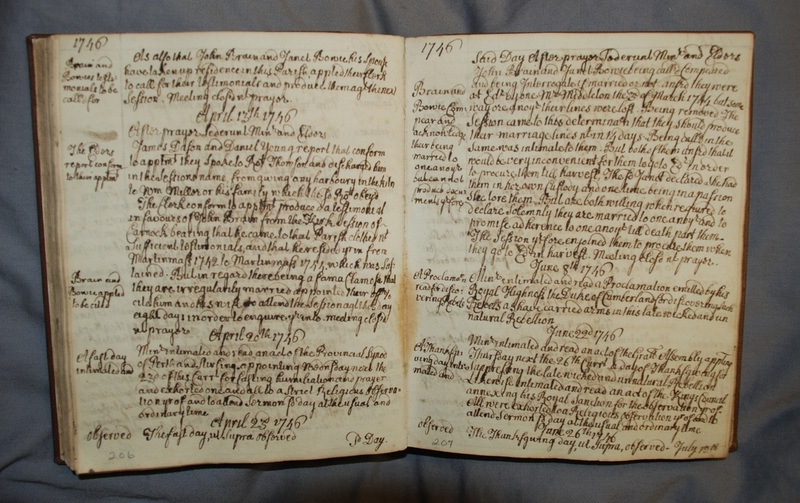 This month’s document is an excerpt from Alva Kirk Session minutes, dated 8th, 22nd and 26th June 1746, which relate to the aftermath of the failed 1745-1746 Jacobite rebellion. 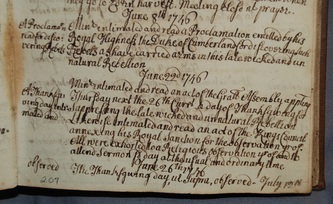 Min[iste]r intimated and read a Proclamation emitted by his Royal Highness the Duke of Cumberland for discovering such Rebels as have carried arms in this late wicked and unnatural Rebellion. The Thanksgiving day ut Supra, observed. Only four months before on the 16th of February the Jacobites had been utterly defeated at the battle of Culloden, which signalled the end of the uprising. The aftermath of the battle and subsequent crackdown on Jacobitism was brutal, earning Cumberland his nickname ‘Butcher Cumberland’. During this period known or suspected Jacobites were hunted down, imprisoned, tried and in some cases eventually transported to the colonies as the government sought to impose control. 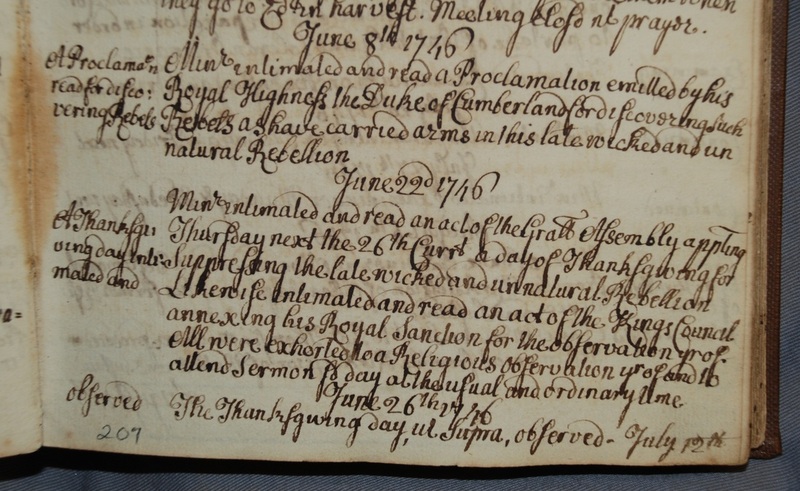 Though we do not have a record of the proclamation itself, the minutes above provide evidence of the way the Church felt about the rebellion and about maintaining the established order. 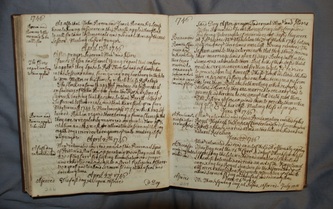 It also indicates how important and useful each parish church was for dispensing information throughout the country.